Frozen w/ Baking Instructions (very easy) available daily . 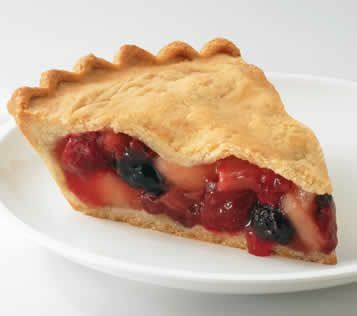 All pies are 10", large enough for eight servings. What's more American than apple pie? We use only fresh Ida Red apples, with real sugar and a hint of cinnamon. Made from a Grandma Goold's old-fashioned tender crust recipe and our Jonagold apples and a yummy crunchy topping of brown sugar, butter,flour, rolled oats, cinnamon and vanilla make this one of our favorites. indescribably delicious. Just one bite and you'll see why this apple pie is so special. offers the perfect balance of tartness and sweetness. A "Goold" favorite is bursting with fruit flavor, as well as powerful antioxidants. 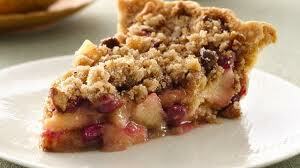 A delicious apple and cranberry pie with our yummy crunchy topping of brown sugar, butter,flour, rolled oats, cinnamon and vanilla! Red Raspberries create the perfect blend of tartness and sweetness, while enhancing the fresh fruit flavor of plump red raspberries. 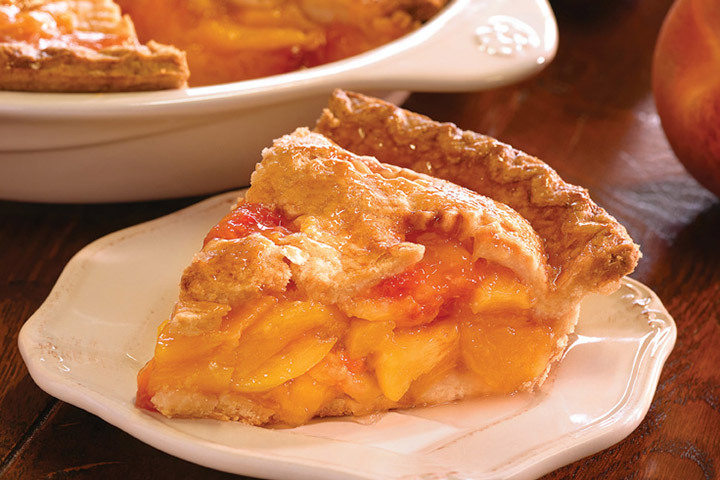 Fresh, sun-ripened peaches and top them with a rich praline topping and pieces of crunchy pecans for real down-home goodness..
sitting atop a flaky pastry crust with no sugar added. This holiday favorite is full of pumpkin and a secret blend of spices. Closed Christmas Day and Dec 26, New Years Day and Jan 2.